In the context of globalization and pluralism, Christians and Buddhists have opened an instense dialogue. Their goals have progressed beyond seeking mutual understanding to seeking mutual transformation and a «unity beyond differences.» Unfortunately, in these discussions evangelical Christians have remained mute. Someone or Nothing? therefore attempts first to convince evangelicals of their need to listen and participate, and second to inject their concerns into the dialogue already underway. It does so by examining Religion and Nothingness, the opus magnum of the late dean of the Kyoto School of Philosophy. 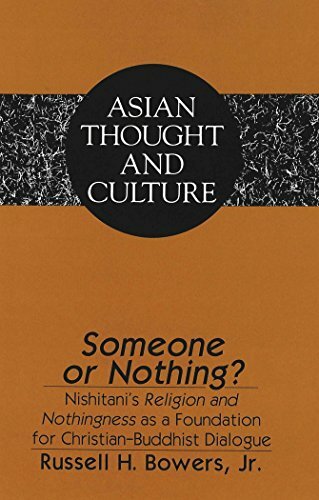 Keiji Nishitani's work is condensed and then compared with basic evangelical Christian beliefs. This comparison unearths difficulties in attaining the desired unity, as well as topics that future discussions might profitably address. If you have any questions about this product by Peter Lang Publishing, contact us by completing and submitting the form below. If you are looking for a specif part number, please include it with your message.